Cold Mould Seal is a special formulation, which facilitates zero chipping from the plaster at very high pressures. 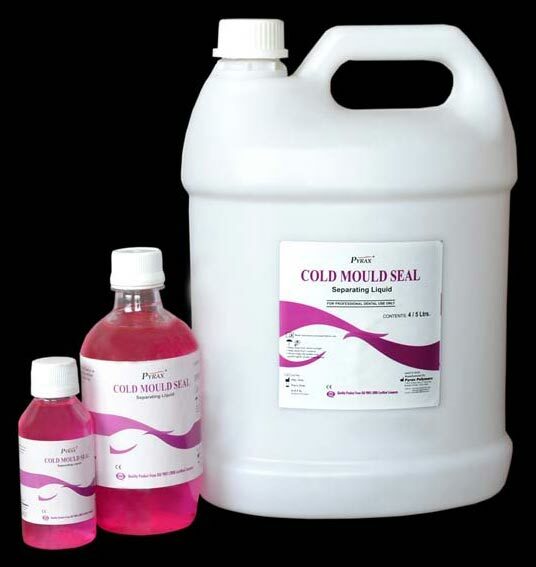 We are counted among the largest Manufacturers, Exporters and suppliers of Cold Mould Seal in India. We export Dental Cold Mould Seal to the main markets of South Africa, Iran, Iraq, Kenya, Egypt, Nepal, Bangladesh, Morocco, and Philippines.